Vision correction using KAMRA® corneal inlays or laser surgery such as LASIK® and PRK®, is safe and effective, and gives most patients the ability to stop wearing eyeglasses or contact lenses. 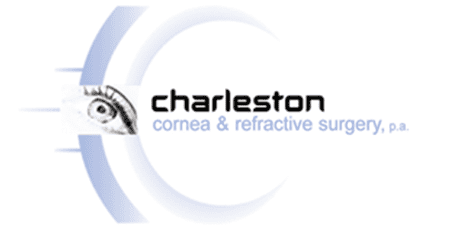 Dr. David O’Day at Charleston Cornea & Refractive Surgery specializes in performing vision correction procedures using the most advanced eye mapping and laser technology. To learn whether you’re a good candidate for vision correction, call the office in Mount Pleasant, South Carolina, or use online booking to schedule an appointment. What refractive errors are treated with vision correction surgery? Dr. O’Day helps patients live life without eyeglasses, contact lenses, or reading glasses by offering several types of vision correction procedures: LASIK, PRK, and KAMRA® Inlay. Laser in-situ keratomileusis (LASIK) is a surgical procedure that corrects refractive errors — nearsightedness, farsightedness, and astigmatism — by reshaping your cornea and restoring its ability to focus light. Your cornea is a clear dome that covers the outside of your eye. Although it protects your eyes from wind, dirt, and debris, it’s also essential for focusing light as it enters your eye. Your cornea must maintain its round shape and transparency to focus light properly. When your cornea isn’t evenly curved, refractive errors occur. LASIK repairs its shape and corrects your vision by removing microscopic pieces of the cornea. The first step, ZYOPTIX®, measures vision errors using Wavefront technology and creates a 3D map showing the contours of your cornea. This information is used to automatically control the laser during your procedure. 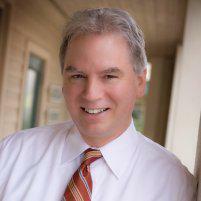 Dr. O’Day performs bladeless LASIK, which means that every step is done using lasers. Your procedure begins by creating an opening in the outer layer of your cornea, which provides access to the middle layer where reshaping occurs. When Dr. O’Day cuts the opening, it stays attached on one side, leaving a flap that’s folded over during surgery. It takes fewer than five minutes for the laser to reshape your cornea, then the flap is placed back over your cornea. Photorefractive keratectomy (PRK) is another type of laser eye surgery that corrects nearsightedness, farsightedness, and astigmatism by reshaping your cornea. The surgery is performed like LASIK, with one difference in the way the opening is made in the outer layer. During PRK, a flap isn’t created. Instead, a round piece of the outer layer is removed, and discarded. The outer layer regrows as you heal in the days after your procedure. The PRK technique removes a thinner layer of tissue than the flap. This means that PRK may be used for patients who aren’t candidates for LASIK because they have a thin cornea.